Chocolate and strawberry are two of the most popular dessert flavors. Merging the two is a natural and successful combination. 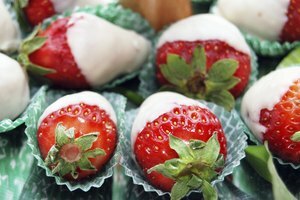 One of the simplest ways to satisfy a craving for both strawberry and chocolate is to eat a chocolate-covered strawberry. Preparing a recipe of chocolate-covered strawberries, eating only a few, then freezing the leftovers is a practical solution for people who have a sweet-tooth but do not want to over-indulge. Line the baking sheet with wax paper. Wash the strawberries and leave them out a few minutes to air dry. Do not trim the stems. Place it on the stove and turn on the burner, bringing the water to a boil. Put the chocolate in the top pan of the double boiler. Stir the chocolate as it melts until it has a smooth, uniform consistency. 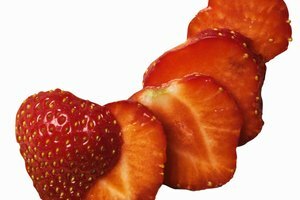 Dip the strawberries into the chocolate, covering the entire red, edible part of the berry, leaving only the green stem uncovered. Place the dipped strawberry on the baking sheet to harden. They may stay on the sheet up to six hours before they need to be covered. 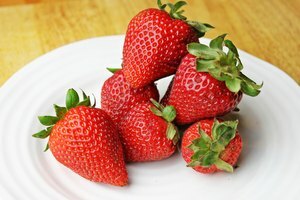 Pack the strawberries in an airtight container with as little extra space as possible. A zip-sealed freezer bag would be a good choice. Thaw for an hour before eating. 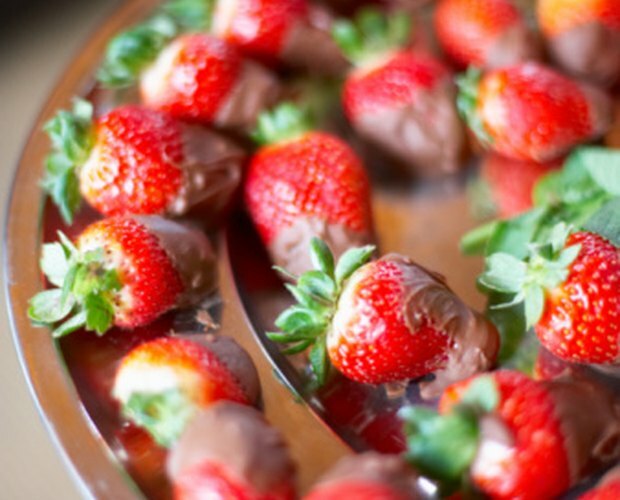 Typically, chocolate-dipped strawberries are not dipped all the way to the stem. However, when the berries are frozen their internal structure will change causing juice to be released. Unless you encase the entire berry in chocolate, they will be a juicy mess once thawed.